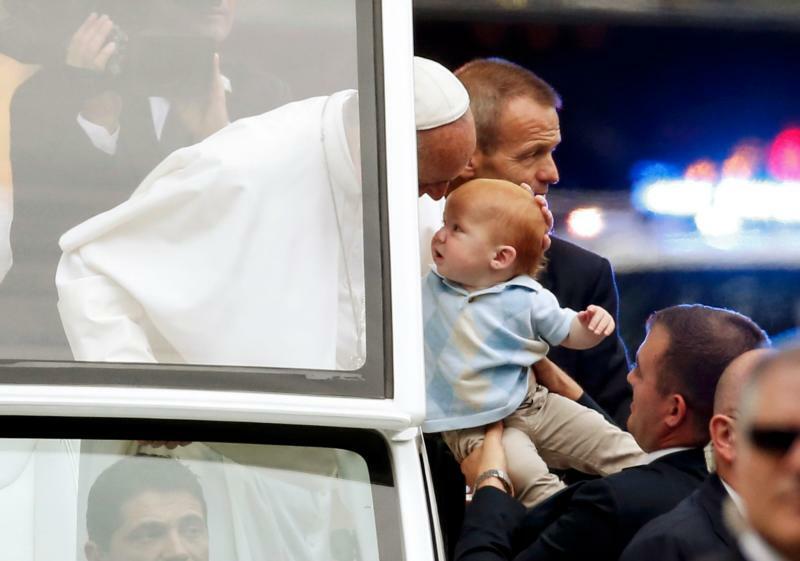 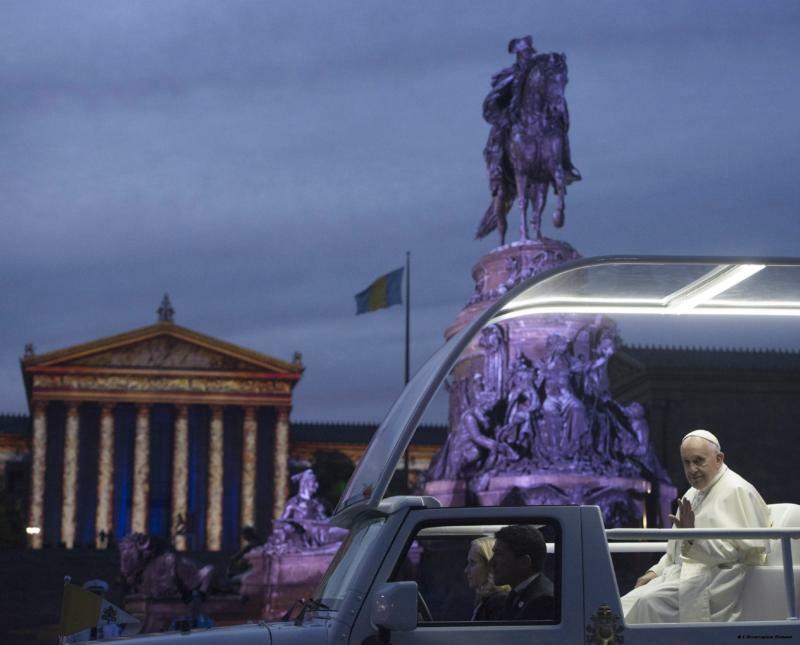 Pope Francis blesses a baby from the popemobile in Philadelphia Sept. 27. 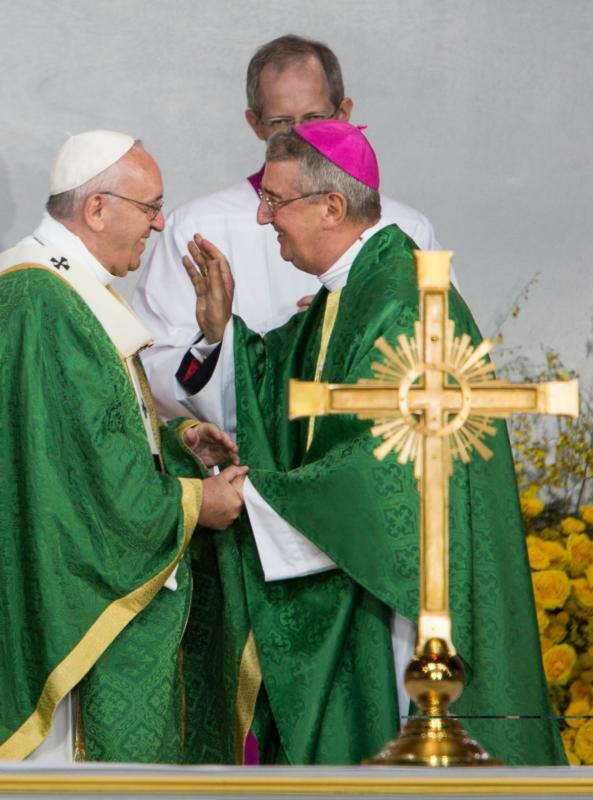 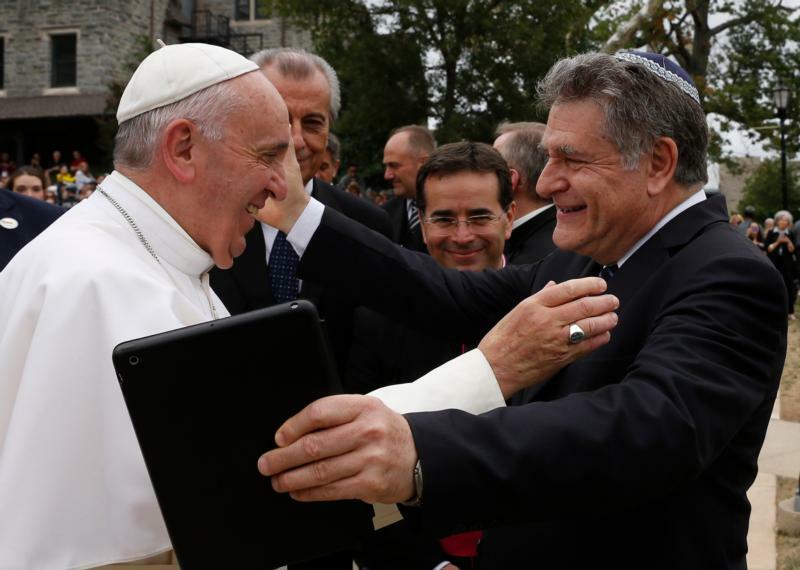 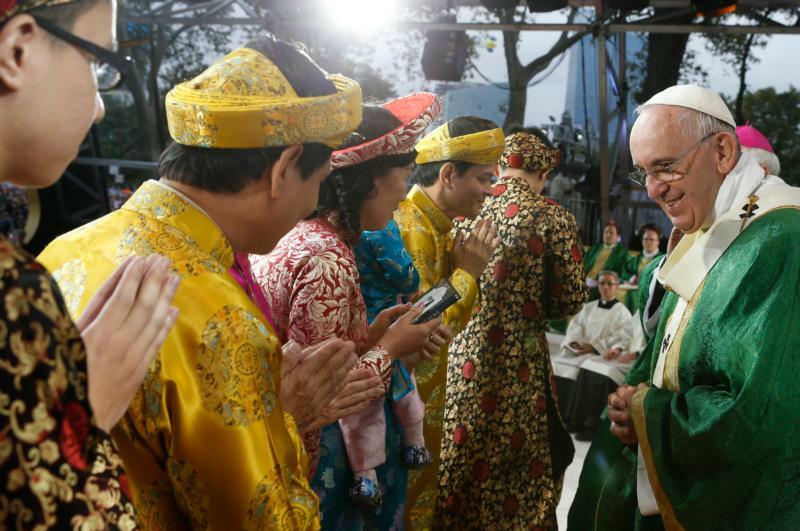 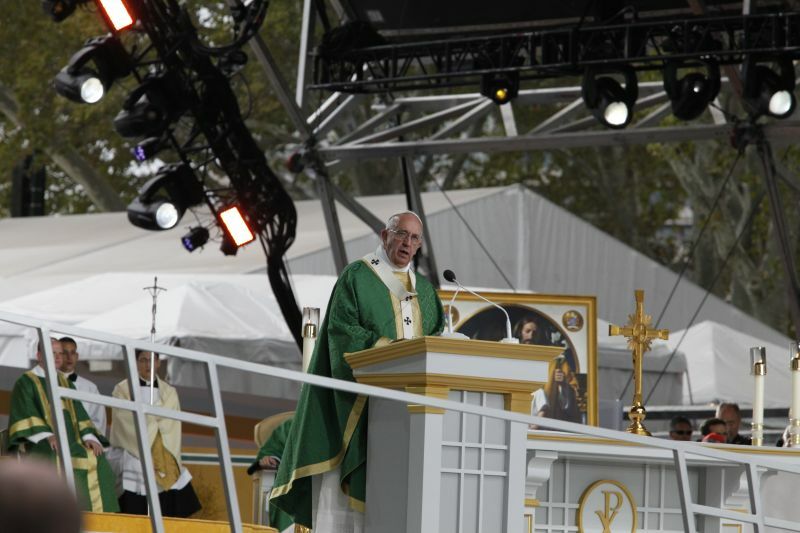 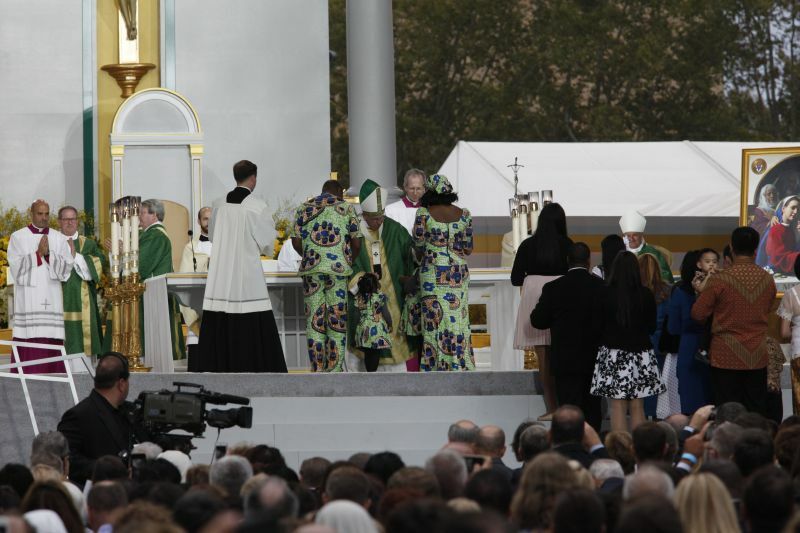 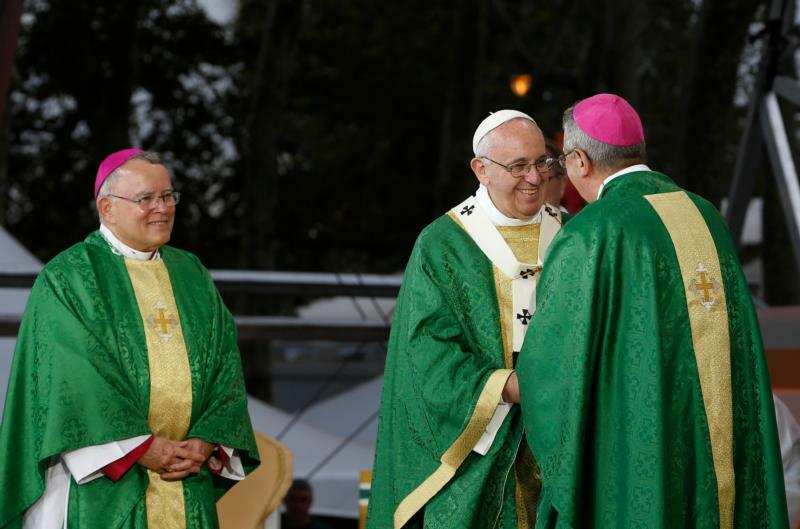 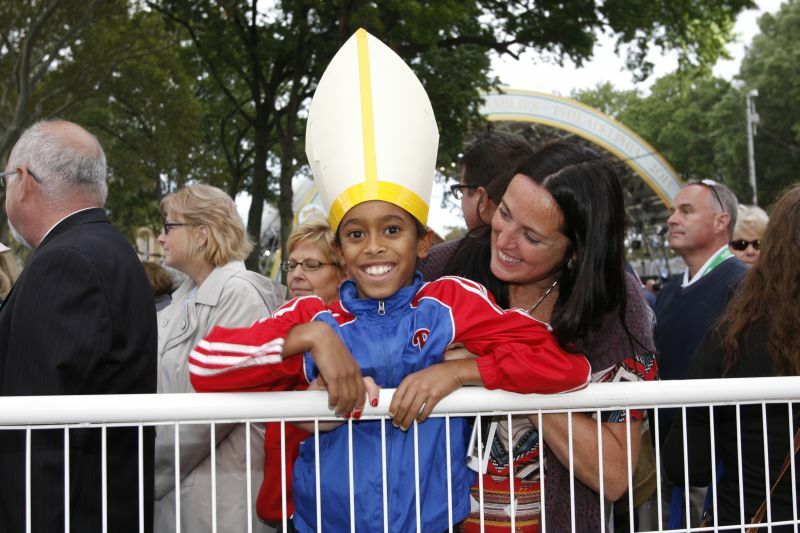 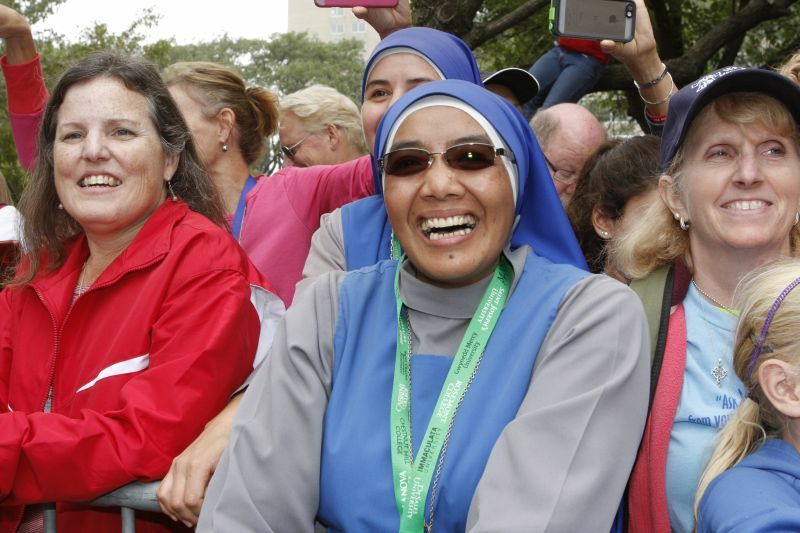 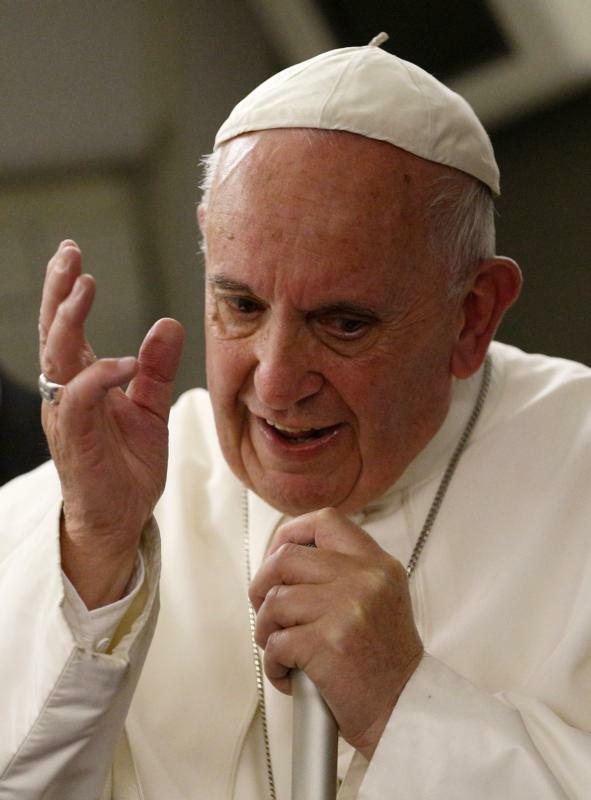 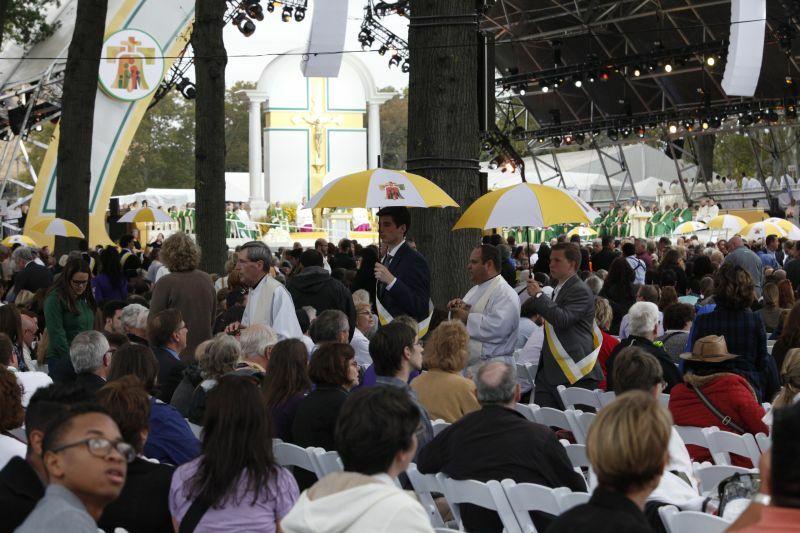 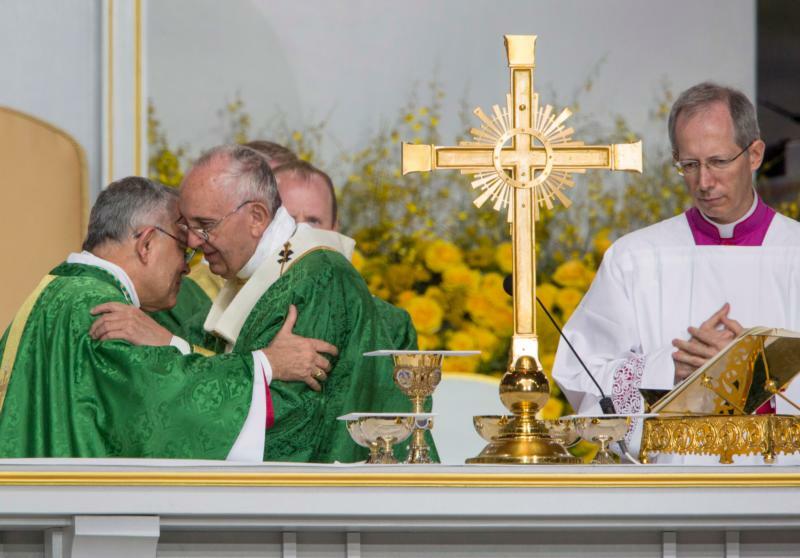 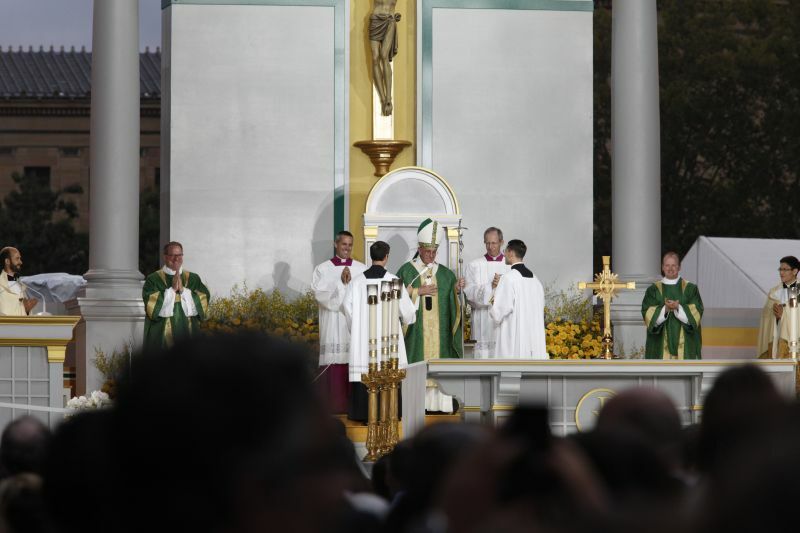 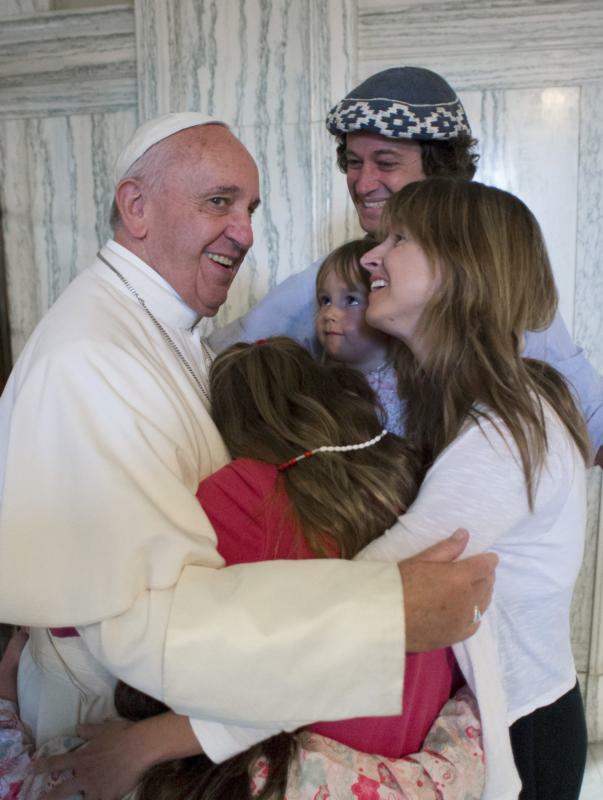 (CNS photo/Alex Brandon, pool) See POPE-FAMILY-MASS Sept. 27, 2015. 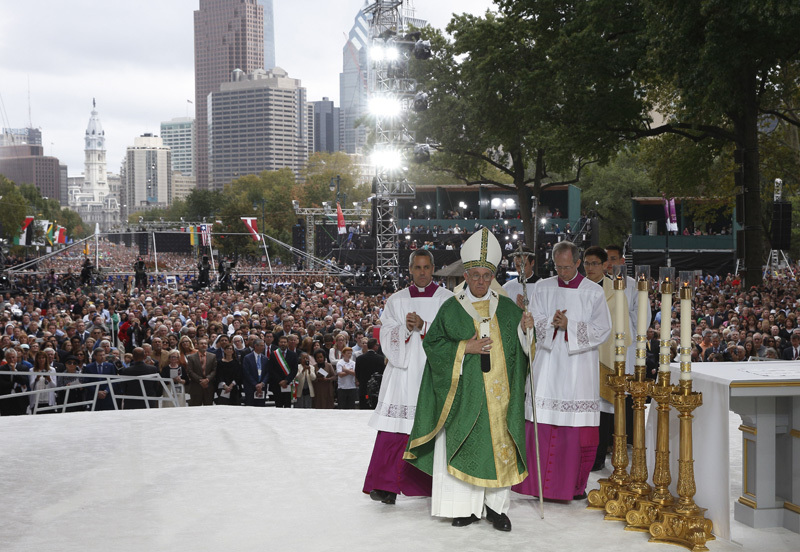 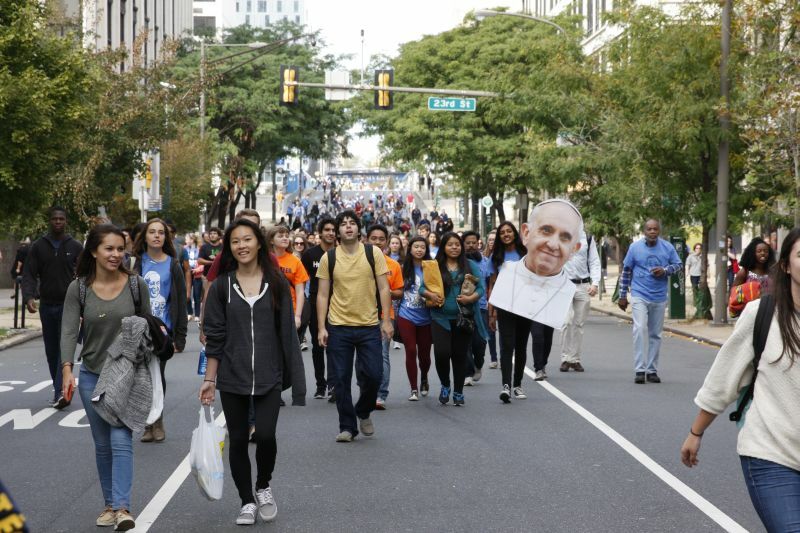 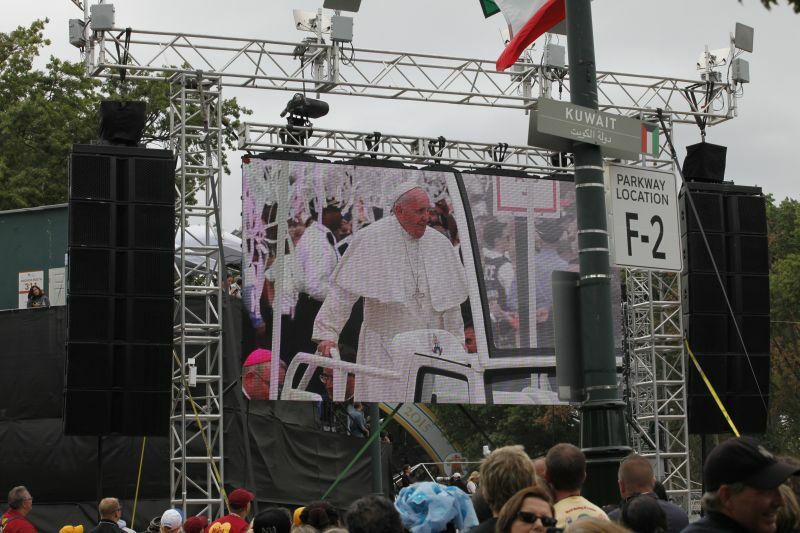 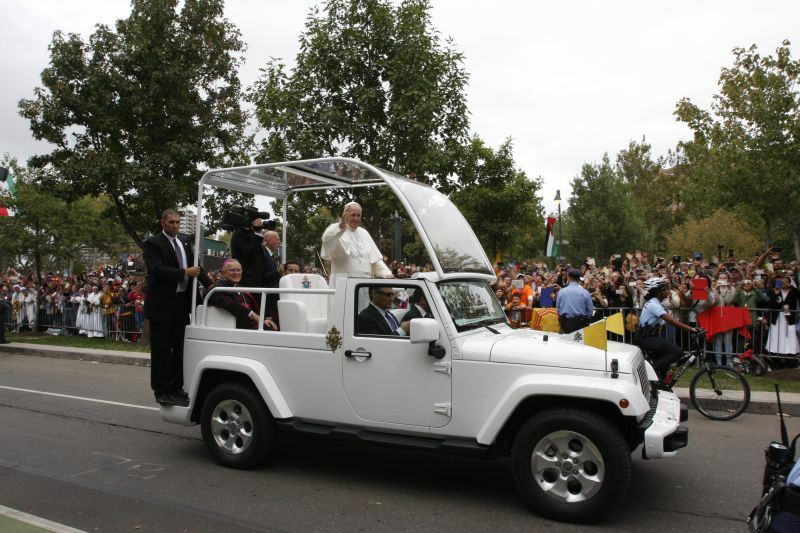 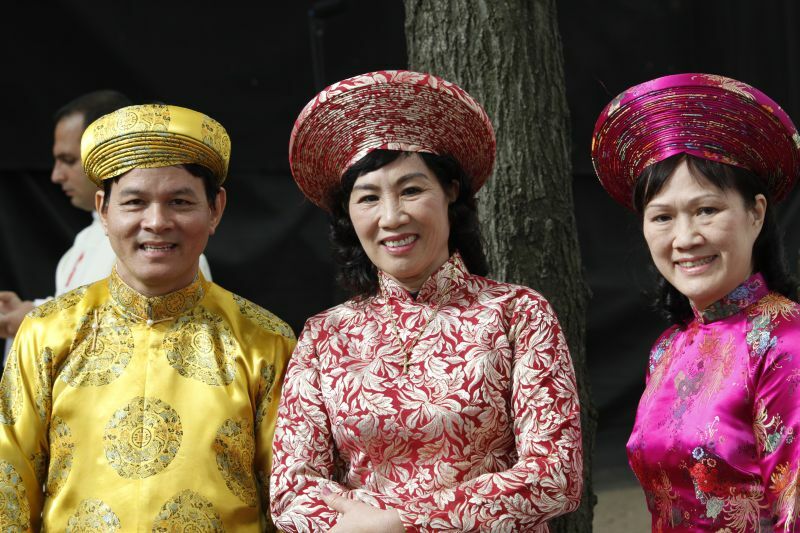 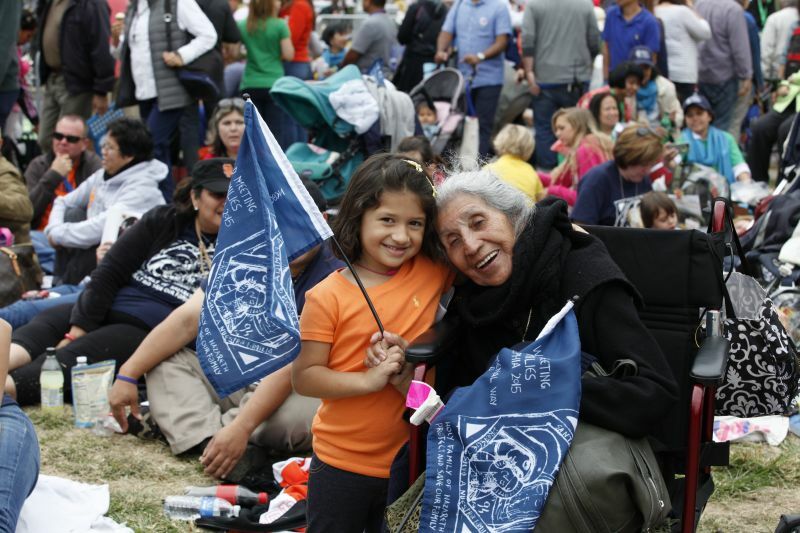 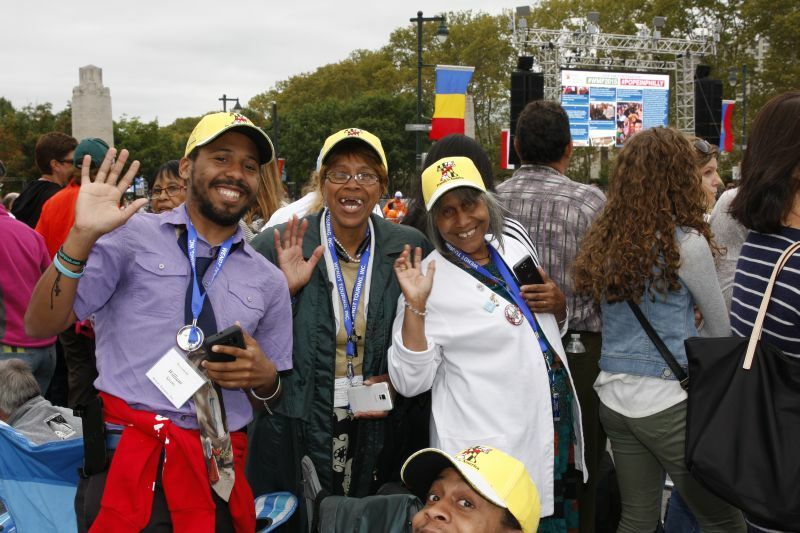 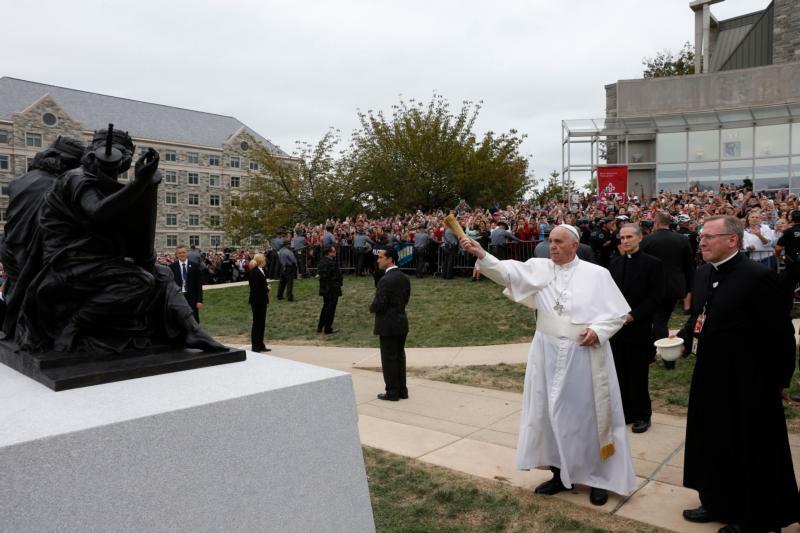 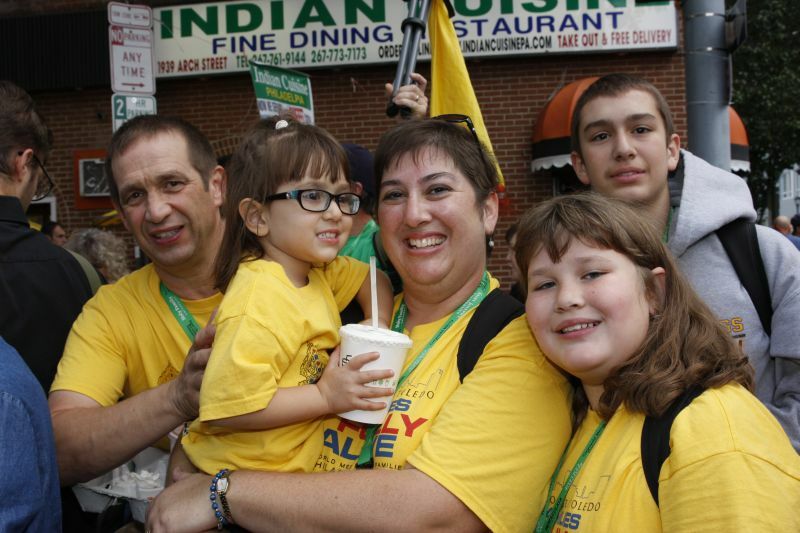 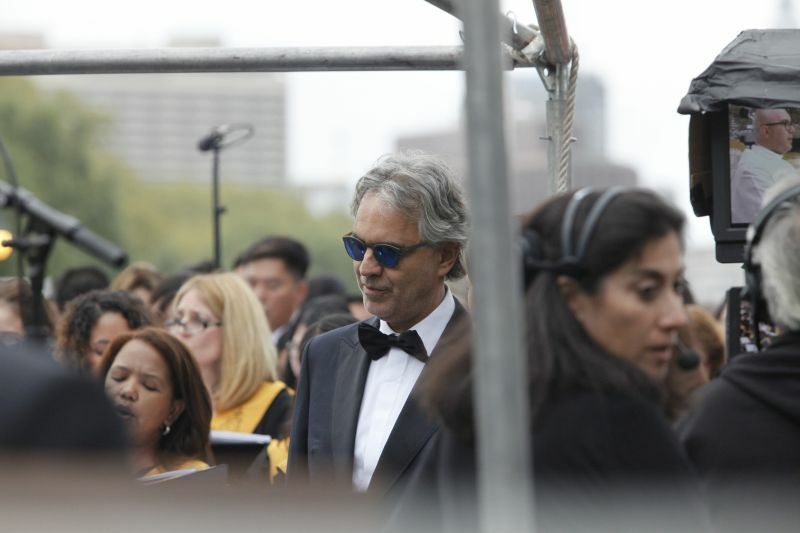 See more vignettes from the historic visit of Pope Francis to Philadelphia, including the papal Mass, papal parade and the pope’s stop at St. Joseph’s University on Sept. 27, from local and national photographers.